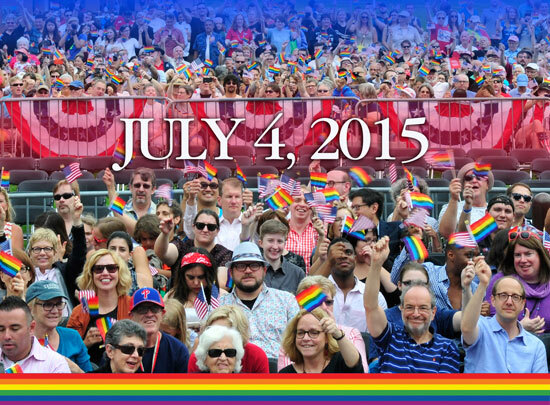 A Historic Fourth of July Celebration! 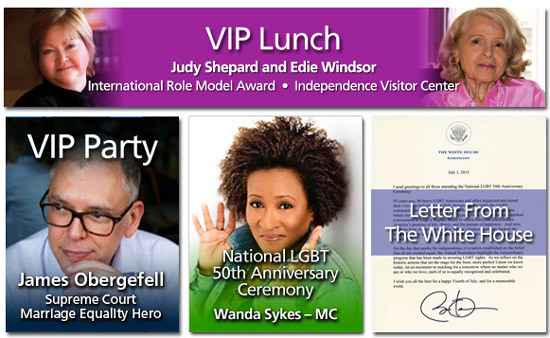 ON JULY 4, 2015, Jim Obergefell, Edie Windsor, Judy Shepard, Bishop Gene Robinson, Wanda Sykes and other leaders and entertainers, along with hundreds of guests joined in the National LGBT 50th Anniversary Celebration and Ceremony. See photos of the Fourth of July festivities. Read tribute to Gay Pioneer Frank Kameny.